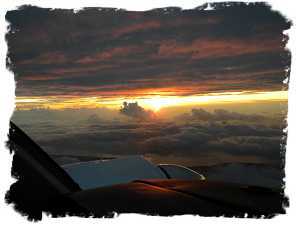 The weather this morning was Caribbean perfect and the trip from St Lucia to Trinidad was accomplished without incident. The airplane was performing perfectly and the only issue that worried me now was my charts. I had had trouble finding charts for the Caribbean and South America, and a friend had found and ordered them on line for me. Since I'd been on US charts to Puerto Rico, except for a perfunctory glance at them to make sure they covered the area needed, I hadn't really looked at them until leaving San Juan. Once I gave them a serious look I found that although they seemed to be aeronautical charts, they gave no navigation information, such as VOR frequencies, airways and intersections. Hmm, I thought, but with dual GPS, I couldn't get lost. Could I? Also there were vast areas of the charts that had no elevation marking or colors, just plain white and noted with "No Elevation Information Available". I knew now how the early sea explorers felt and I nervously hoped I wouldn't find a notation saying "They Be Monsters Here" as some of their charts did. Fortunately the Garman data base included the needed communication frequencies and when the island of Trinidad came into view and I called the tower the controller cleared to land with the musical tones of the Caribbean, directed me to Customs and this time I found the office quickly. Presenting my documents, I was puzzled when the official inquired as to who my agent was. Thinking I had misunderstood I asked what she meant, and was met with a withering look. She explained that I would need an agent to handle the paperwork involved in buying fuel and getting help with the myriad of forms from the several offices that I would need to be cleared through. I won't bore you with the details; I'll just say that she told the truth. After getting the picture of what was in store if I tried to navigate this Sargasso Sea of Bureaucracy on my own, I caved and hired the agent. As I write this I am still amazed that a people would create a system so unwieldy and complex that to simply stop and buy gas, a traveler would have to hire a professional to navigate the bureaucracy. It was a good lesson for me to appreciate more the freedom and the simplicity of travel in our own country and I won't soon forget it. Even with the agent's help about three hours passed before I lifted off the island and headed out for Macapa, my first stop in Brazil. By now it was afternoon and the thousand mile distance meant I would be arriving at close to dark with close to minimal fuel. Also I needed VFR weather there, since I had no approach charts to supplement my close to worthless VFR charts. Again I had filed IFR, hoping that I would be cleared direct as one mostly is these days in the states. However, I was quickly learning that there is very little radar coverage where I was going and without radar coverage the system is more as it was in the US in the fifties. I was given an intersection to fly directly to, before turning toward my destination and I had no way of knowing where that was. My uncertainty led to a barrage of requests from the controller to give my distance and radial from a certain VOR. Again, my chart did not list the frequency for this nav aid and it was impossible for me to know exactly where I was, except 'on my way to Macapa'. After a few frustrating minutes of trying to hammer myself into the system I gave up and canceled IFR. I climbed high enough to clear all the mountains, hit Direct on the Garmin and settled down for a long, long flight. My track would take me into South America on the northeastern edge of Venezuela, then across the top of Guyana, Suriname and French Guiana before entering Brazil and crossing the mighty Amazon River, close to its mouth. I had one thousand miles of very lonesome, very uncertain flying, with no way to get updates on the weather ahead of me. Also I'd be flying across countries that have used some harsh methods to interdict suspected drug smugglers and I recalled a missionary Cessna being shot down over the Amazon River with a loss of life. These were wonderful, uplifting thoughts and I suspected the next six hours would be some of the longest of my life. The weather had thickened and I was on instruments now. Without the ground contact I needed even more altitude to insure clearance over the mountains and I climbed to 14,000 feet. Now I was focused on ground speed, because without at least 160 knots across the ground Macapa would be beyond my range and I would have to plan a closer destination. I gazed lovingly at the GPS ground speed, like a mother watching the face of a sick child, willing it to give the speed I needed. Thank God, I seemed to be holding at just over 160 and if I could maintain this I would make it with reserve fuel. Hours passed as the little airplane crawled across the face of the GPS. The moving map showed the features along the coast and I could plot my position relative to that. Guyana was finally behind me, and we progressed agonizingly on the GPS, eighth inch by eighth inch, across the top of Suriname. 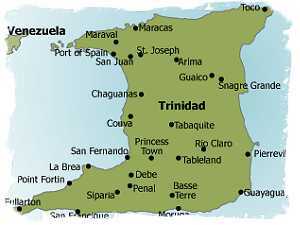 I felt much more than mere hours older than when I had left Trinidad and very, very tired. Now French Guiana was past and I had entered Brazil. The clouds had broken and I could once more see the ground. Trees, dark green and stretching from horizon to horizon were below me. More forest than I had ever seen in my life, an endless, mind boggling expanse of verdant green, without road, without clearing, without any sign that man had ever touched it unrolled below me, endless and without feature. Copyright © 1997 - 2010 Steve Weaver Aircraft Sales. Specifications are based upon owner's representations, and subject to buyer's verification. Aircraft are subject to prior sale or removal from market.